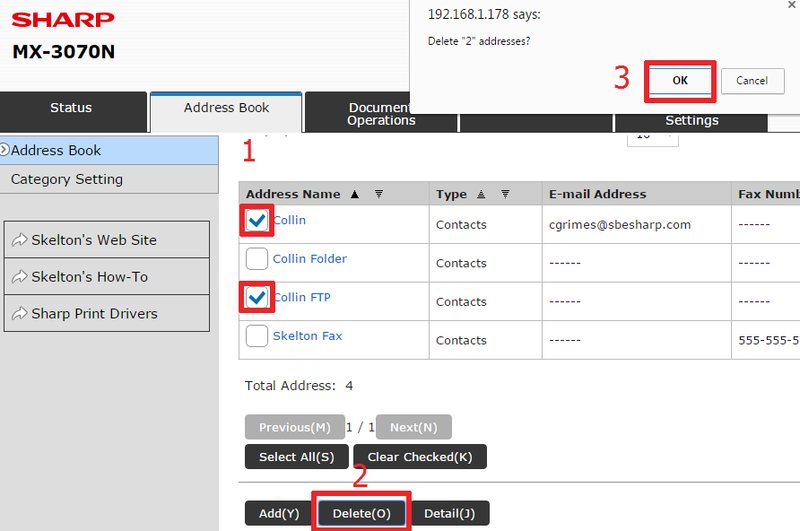 Address Book Management on a Sharp Copier - Add Emails, Network Folders, Etc. Enter the Address Name – this is what the button on the copier’s touch screen will say. Then enter the person’s initials so the Sharp machine will file them in the correct order. Scroll down and choose the type of Address you want to create. For an email address, leave it on the Email tab, enter the person’s email address, and choose the default file type. If you have the Compact PDF in your options I recommend using it. When finished, click Submit, or Submit and Register Next if you plan on adding several in a row. For a Fax Address enter the name at the top of the page, a fax number, then click Submit, or Submit and Register Next if you plan on adding several in a row. 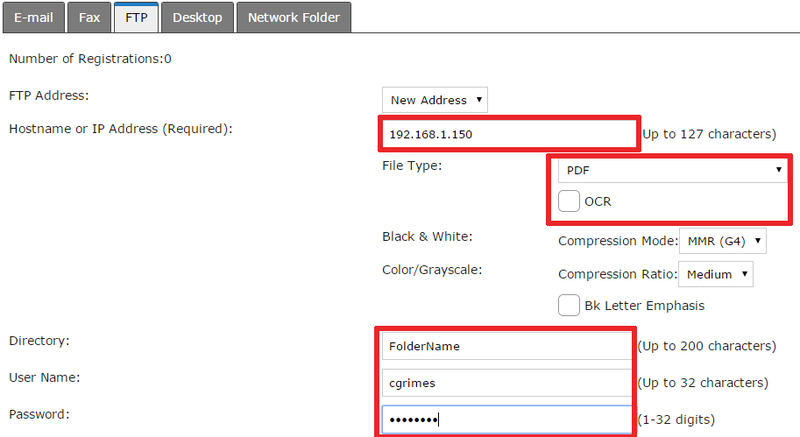 For a FTP address enter the name at the top of the page, then fill in the FTP server hostname or IP address, choose your file type, enter a specific directory if you don’t want the scan to drop into the FTP root directory, and enter a network username/password that has rights to this directory. Click Submit when finished. 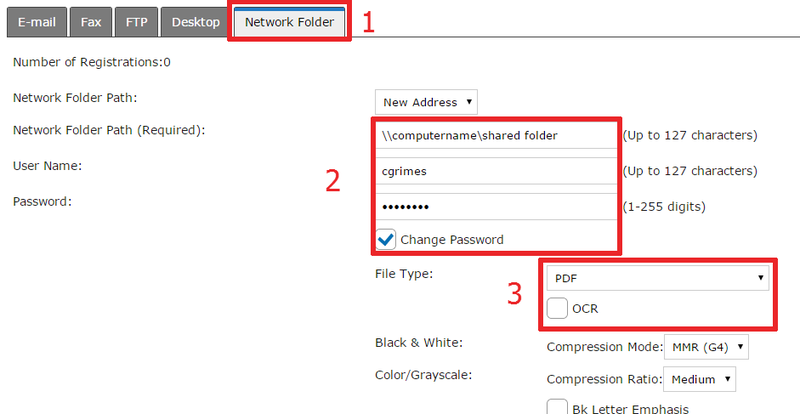 For a Network Folder address enter the name at the top, then enter the Network Path to the shared folder, and a username and password for an account that has access to the shared folder. Choose your desired default file type, then click Submit when finished. Edit your settings and click Submit. This is very simple. 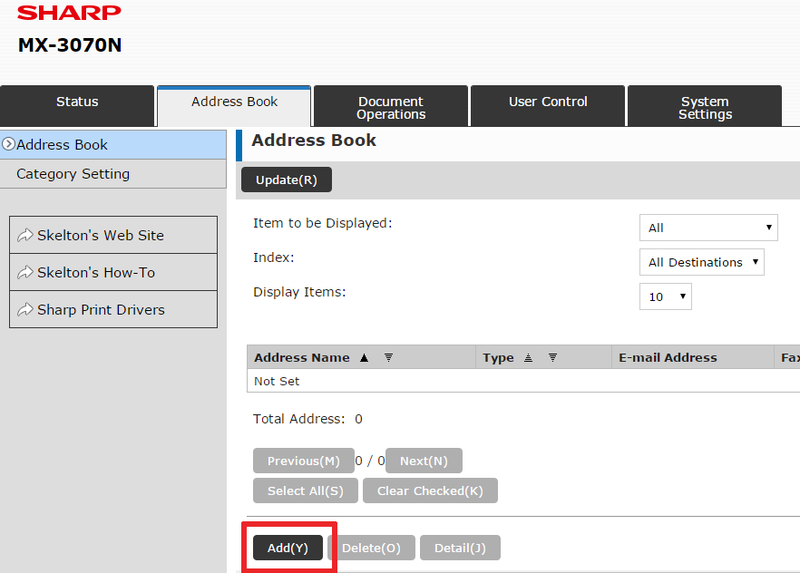 Put a check next to the address(es) you want to delete, and click the Delete button at the bottom of the page. Click OK on the pop-up at the top of the page to confirm. This concludes the instructions for adding, editing, and deleting addresses from the address book on your Sharp copier. If you have any questions, please leave a comment below or contact us through our contact page. Skelton Business Equipment provides cutting-edge technology with service and support to match it. We specialize in keeping your multi-function printers operational for years and years. Our service call turnaround time is less than 4 hours in the entire greater Houston area. If you’d like some pricing on a new or refurbished copier, contact our copier sales and leasing department to request a quote. What model are you working with? The address book is an encrypted binary file when exported. I don’t know of a way to import multiple at a time. If you have a newer color model you can upload multiple at once. Is it possible to disable the built-in address book and use ONLY the Global Address List? We have an LDAP account this printer uses to connect to AD and we want users to ONLY have access to the GAL, not the built-in address list. I believe so, what model are you working with? 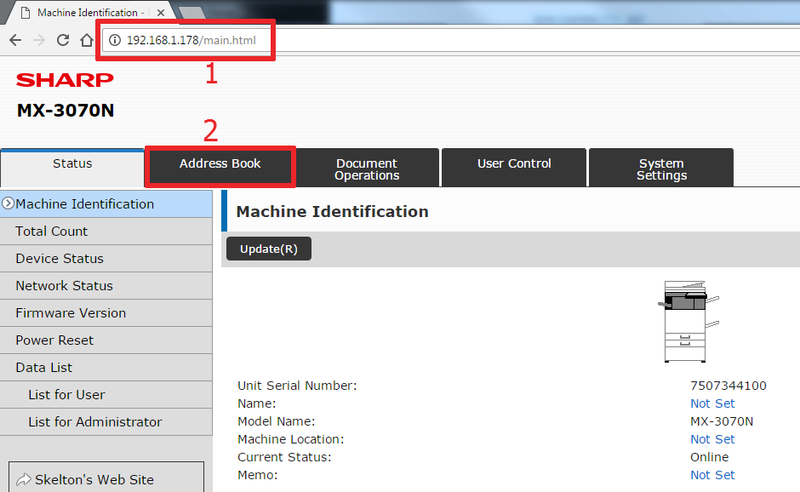 I’m using the MX-2610N and would like to disable the local address book as well. Is there a way to do this? Is there a way to script to add multiple network folders at once? Unfortunately not, the address book data is encrypted. I just wanted to keep reading! I’ve leared lots of useful tips, thanks for posting. Do you have a mail list I am able to join? Any idea how to import adressbook with the .csv file? Some models are capable of this, which model are you working with? Is there a way to bulk update addresses on Sharp MX-5070N? As well as MX-4070N and MX-B402SC?